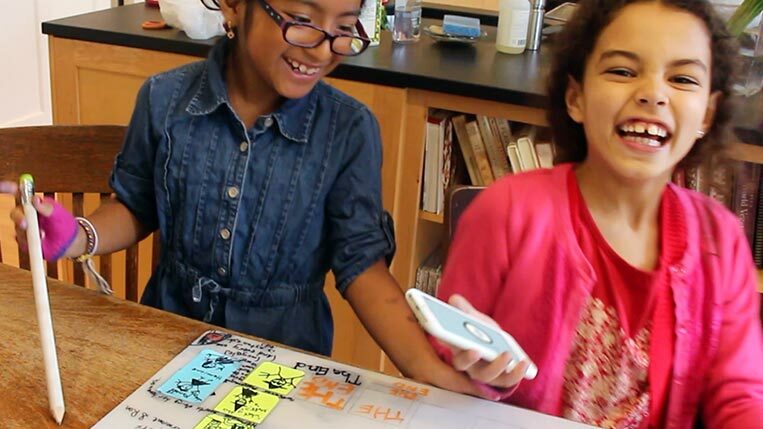 Li’l Stories is Li’l Robin’s first education initiative: launched in early 2016, it is a flexible system of tools that inspire creative thinking and collaboration in elementary school classrooms. Li’l Stories’ child-centered approach puts students in the driver seat: they have fun, are engaged and learn to express themselves through visual, spoken and written storytelling. 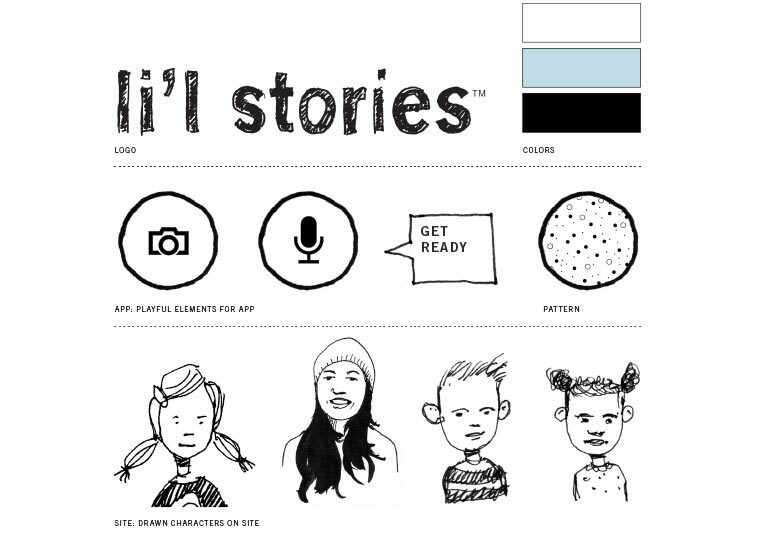 Li’l Stories guides students through the collaborative creation and sharing of a visual narrative. 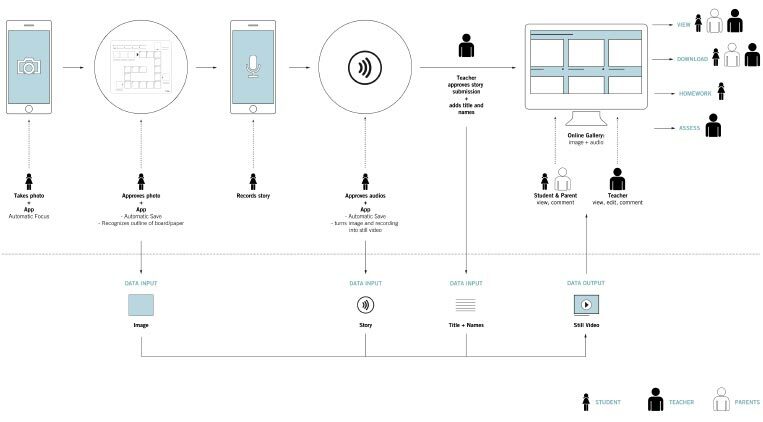 It uses storytelling as a tool for integrating literacy goals across multiple content areas: the system successfully teaches English Language Arts skills, reinforces classroom topics and fosters creativity, collaboration, critical thinking and communication. 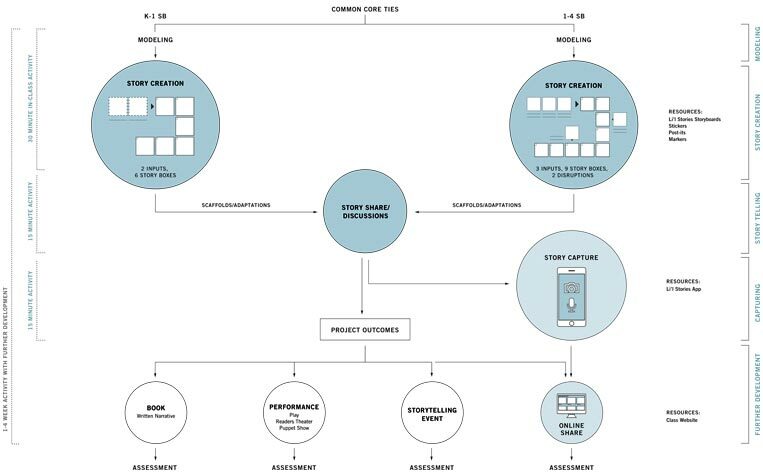 We developed the system in the classroom. Working with several teachers and classes at P.S. 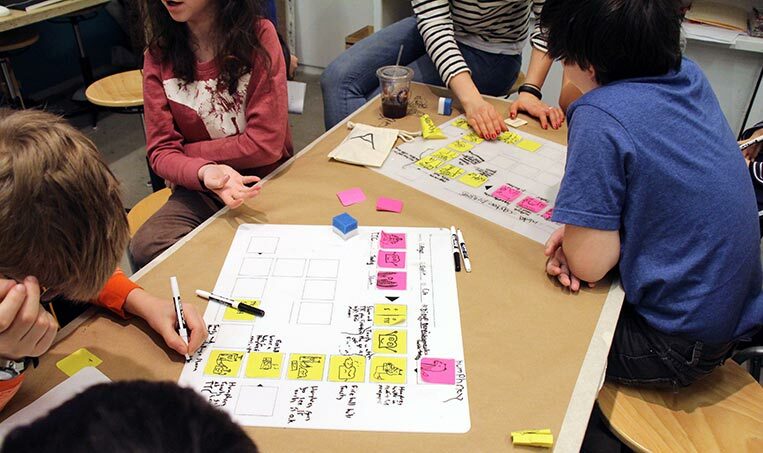 3 in New York and the Children’s Museum of the Arts, we tested various prototypes to determine how best to structure collaboration, teach story structure and sequencing, create a child-centered capturing flow and make it an engaging activity. Once the format was refined, the teachers found Li’l Stories to be extremely useful, and the students loved it, too. 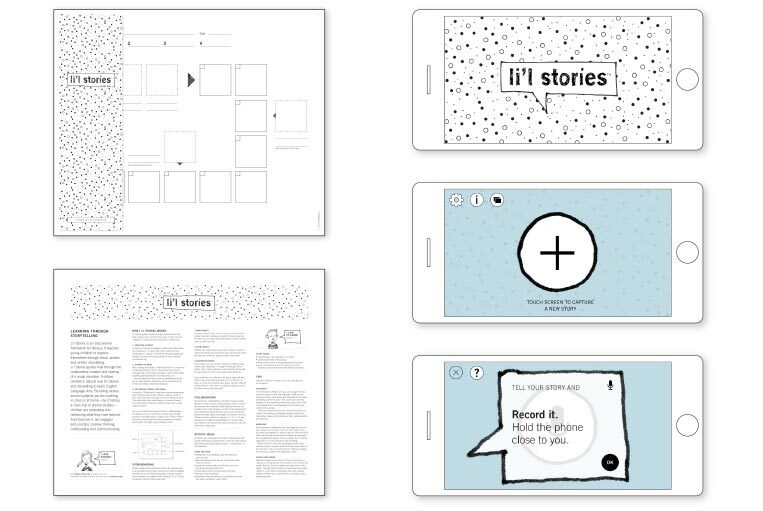 Read more about Li'l Stories in my article about project and my prototyping stories and human-centered design process. 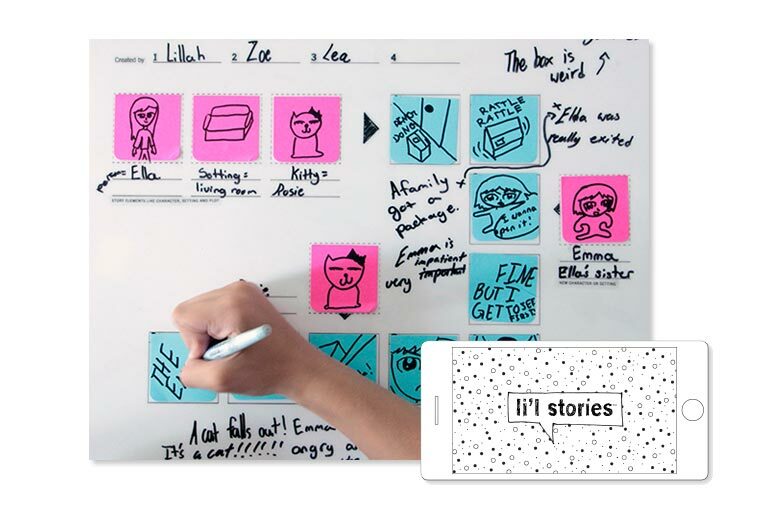 The original concept for Li'l Stories was developed as part of Li'l Robin's founder Anke Stohlmann’s thesis project in the MFA Interaction Design program at the School of Visual Arts (SVA).